In the crowded field of compact sedans, there are economy cars and there are luxury cars. Most of the time, the two groups are completely separate. 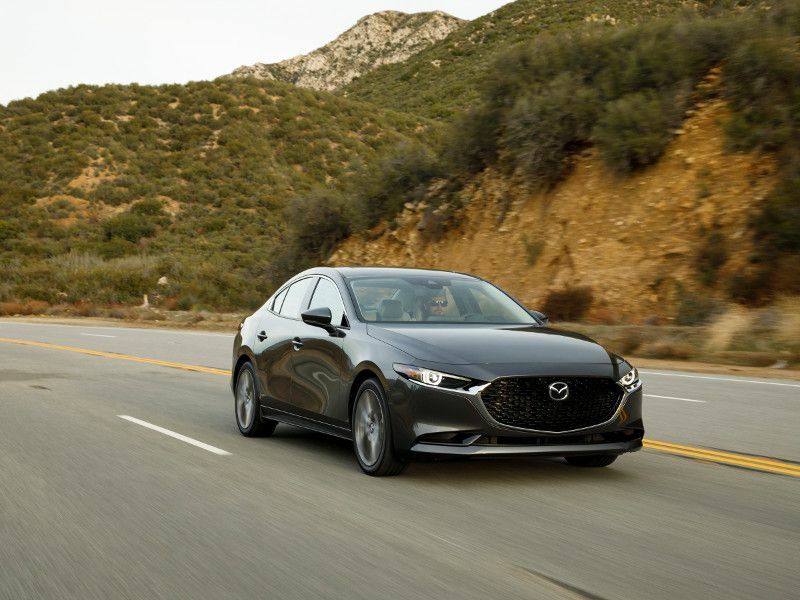 Until now, there’s never been a car that was both affordable and upscale, but the all-new 2019 Mazda Mazda3 manages to pull it off. 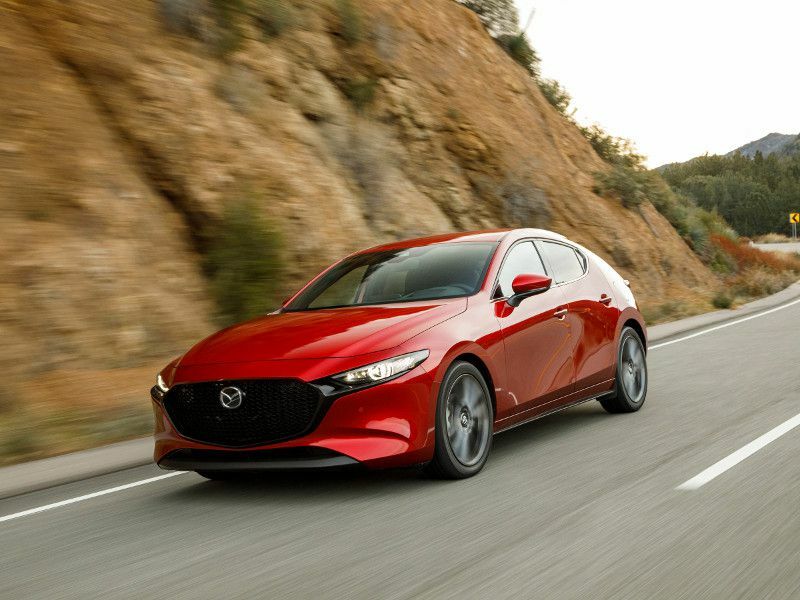 Whether you choose Mazda for its driving performance or its interior luxury, the new “Mazda Premium” standard is setting the bar for affordable cars. The new Mazda3 comes with a lot of changes from last year’s model. It sits on a whole new chassis, and every body panel has been updated. Only the engine is the same. And the new Mazda3 is now offered with all-wheel drive in both the sedan and hatchback. There’s a long list of new safety and convenience features, too. Read on for the full 4-1-1. 1. All-wheel drive is available. New for 2019, Mazda is offering both the Mazda3 sedan and hatchback with all-wheel drive. Mazda’s i-ACTIV AWD technology with G Vectoring Control delivers nearly flawless handling on wet or snowy road surfaces and provides increased traction in all weather conditions. The new AWD system works automatically, engaging the rear wheels in less than 200 milliseconds when wheel slip is detected. You’ll never know when it engages, but you’ll notice that the new Mazda3 laughs at winter weather. We drove it in the snow up in the Sierra Nevada mountains, and even with regular all-season tires, we had no trouble starting on a hill, taking corners, or smoothly braking to a stop. 2. G Vectoring Control has been updated. A few years ago Mazda introduced G Vectoring Control. This is a bit of fancy footwork that gives Mazda vehicles more precise steering by very slightly reducing engine torque when you turn the steering wheel. The torque reduction shifts weight forward onto the front wheels, which helps them grip in the corner. Now the Mazda3 has G Vectoring Control Plus, which works a little better and also very lightly applies a bit of brake to the outside front wheel as you exit a corner. It helps the Mazda3 stay in control all the way through a corner, but it’s so subtle that you will never really notice it working. You’ll just notice that the Mazda3 has crisp steering response and good road manners. 3. The interior is upscale. Slide behind the wheel of the new Mazda3 and you’ll see and feel what Mazda Premium is all about. From the new 8.8-inch wide-format infotainment display screen to the feel of the optional high-quality leather and heated seats, the Mazda3 is definitely a step up compared to the competition. Mazda takes driver comfort seriously. At the higher trim levels, the driver’s seat is power-adjustable with a power lumbar support, and all trims offer a comfortable seat designed to keep you in the best position for driving. Touch surfaces throughout the car are soft, and the overall noise level in the interior has been greatly reduced. Finally, upgrades to both the standard sound system and the optional Bose premium audio complete the experience. 4. There's an available Bose audio system. The basic Mazda3 has a good eight-speaker stereo system. Mazda’s engineers made a key change to the speaker placement by moving the big bass drivers forward off of the doors and into the driver and passenger footwells. This helps reduce road noise and gives a better bass response. So far, so good. 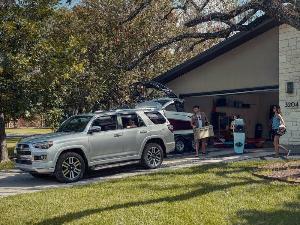 If you choose the optional Bose audio system, you get 12 speakers, including an extra subwoofer located at the back of the passenger cabin in the sedan, or down in the spare tire well in the hatchback. 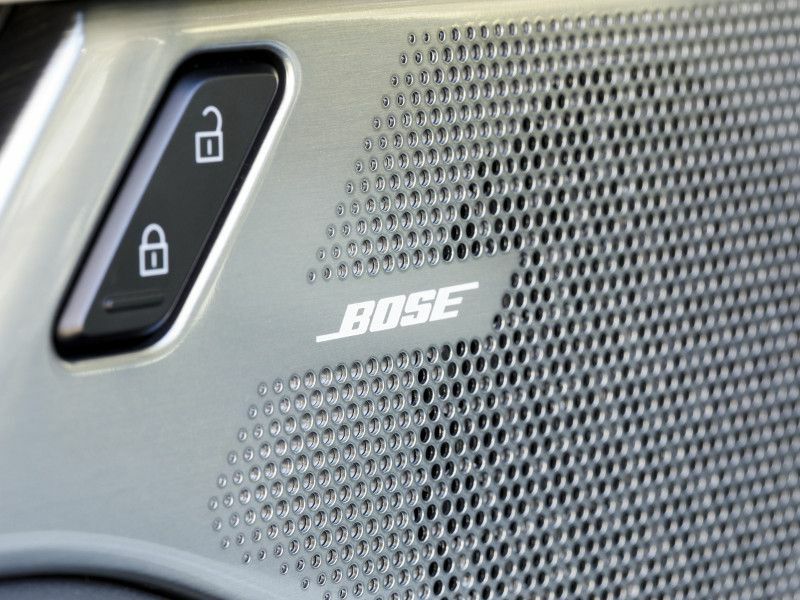 The Bose system also has nine channels of equalization, automatic noise compensation, and true surround sound. The result is that the new Mazda3 has audio quality to compete with any of the premium brands. 5. The 8.8-inch display screen isn't a touchscreen. One of the most interesting safety features of the new Mazda3 is the infotainment screen. Mazda moved it up onto the dash and out of reach of the driver. 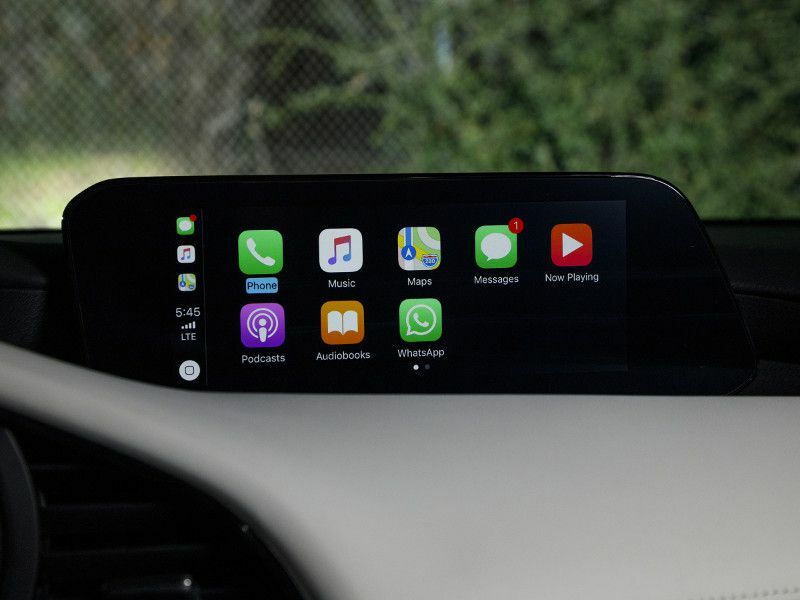 Working with customers, Mazda found that drivers often had to shift their body and stretch out their arms to use a touchscreen, affecting driving safety. 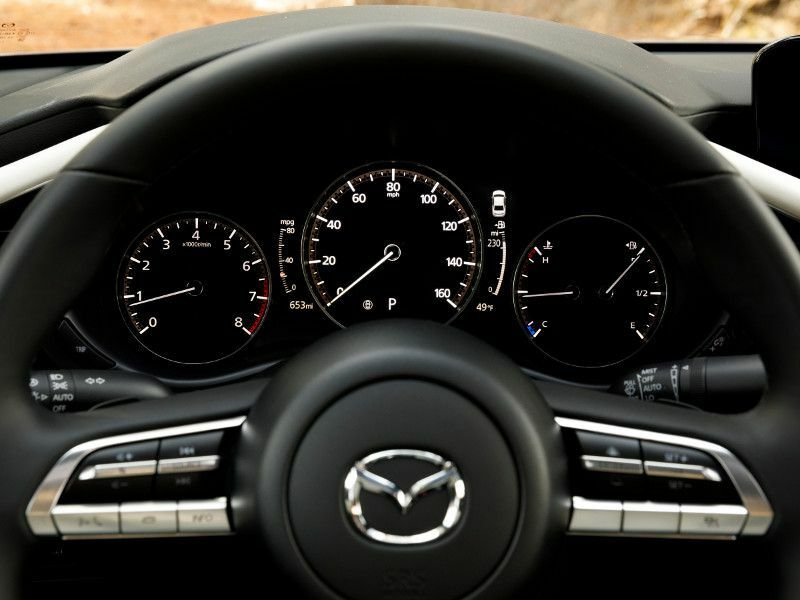 By placing the screen up high in the driver’s natural field of vision, Mazda increases driver attention to the road. 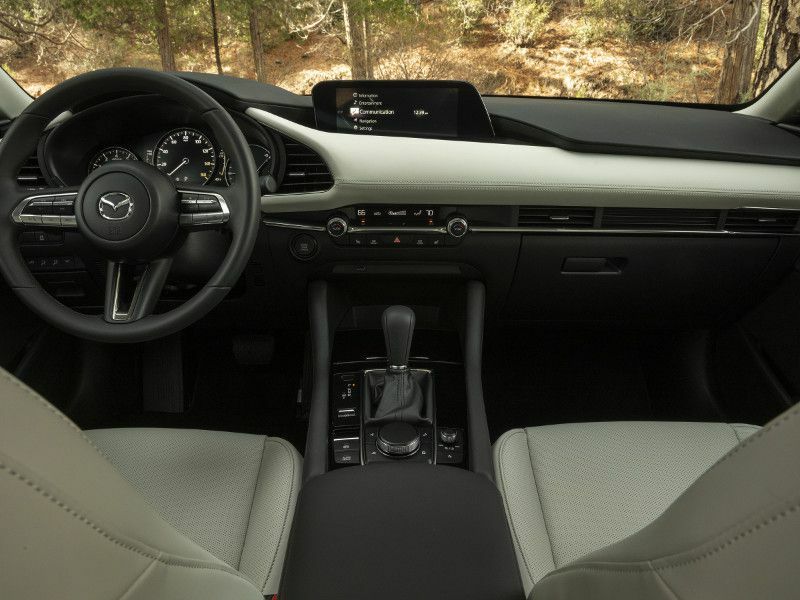 Next, by replacing the touchscreen with a dial-based multi-function controller, the Mazda3 allows drivers to set the audio, control the navigation system, or change settings with their arm resting comfortably on the center console. The Dial Commander is easy to use, and it helps keep your attention on the road ahead. 6. The head-up display is updated. Mazda has updated the available head-up display so that it appears to float over the hood of the car. The outgoing model used a little plastic window on the dash to display information, but that required the driver to focus close-up to read it. That meant taking eyes and attention off the road. Because the new HUD focus point is out ahead of the windshield, you can clearly see the detailed driver information shown through the display without changing your point of focus or looking away from the road. It’s very natural and easy to read while driving. 7. The car knows if you're paying attention. There’s a lot of new safety gear in the Mazda3, including features like adaptive cruise control, blind-spot monitoring, a lane-departure warning with lane-keeping assist, automatic headlights, and Mazda’s Advanced Smart City Brake Support. 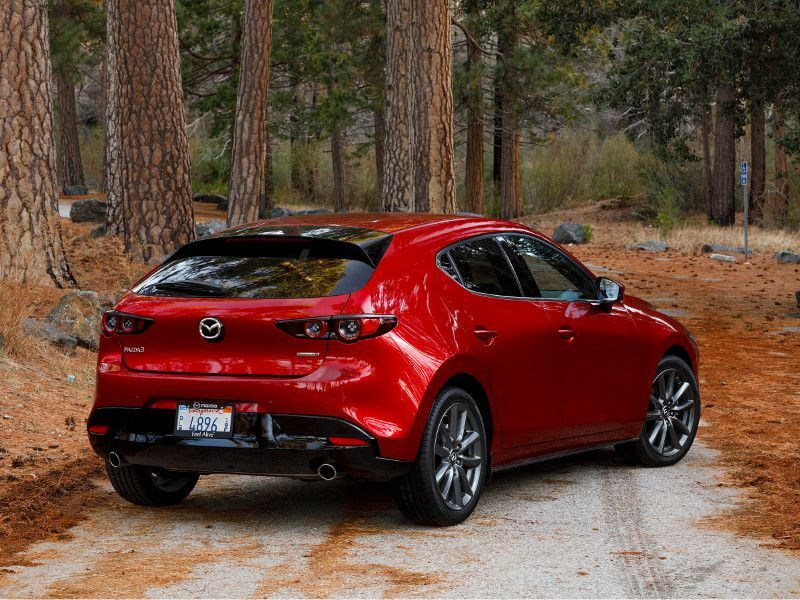 When equipped with all that, the new model is the safest Mazda3 yet. But there’s one feature that’s entirely new and worth a bit of explanation. 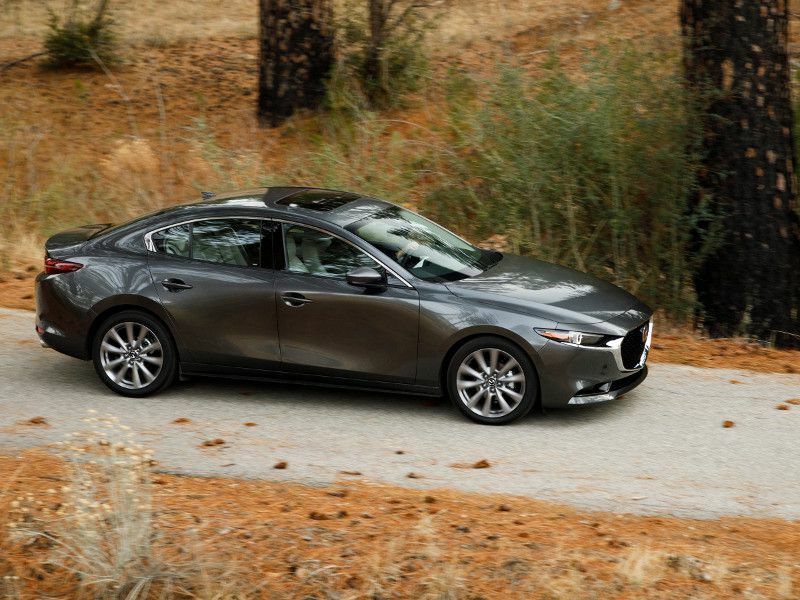 The Driver Attention Alert uses the Mazda3’s forward-looking camera and other vehicle sensor data to detect driver fatigue and diminished attention to the road. The system will then notify the driver to take a break or at least to pay more attention to driving. One of the hallmarks of a premium car is a quiet cabin, and the new Mazda3 is impressive in this area. Mazda added sound-absorbing material to the headliner and even the floor mats. Moving the large bass speakers off the doors helps, too. Mazda also made changes to the chassis and suspension to eliminate noise sources. 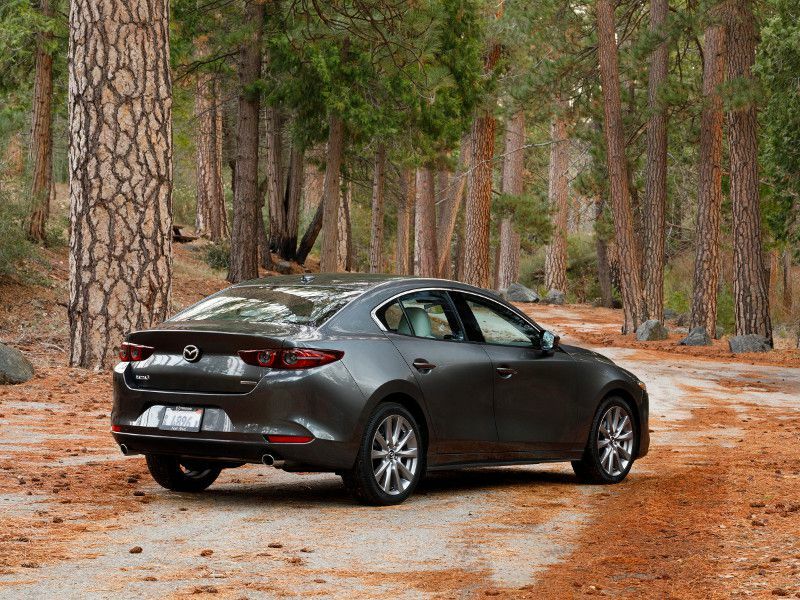 Engine and exhaust noise were similarly reduced to give the Mazda3 a much quieter cabin than most compact sedans can achieve. The result is that you can have a quiet conversation inside the Mazda3 while you’re driving, or enjoy the acoustic details from the standard stereo or the premium Bose audio system. 9. It's available as a sedan or hatchback. 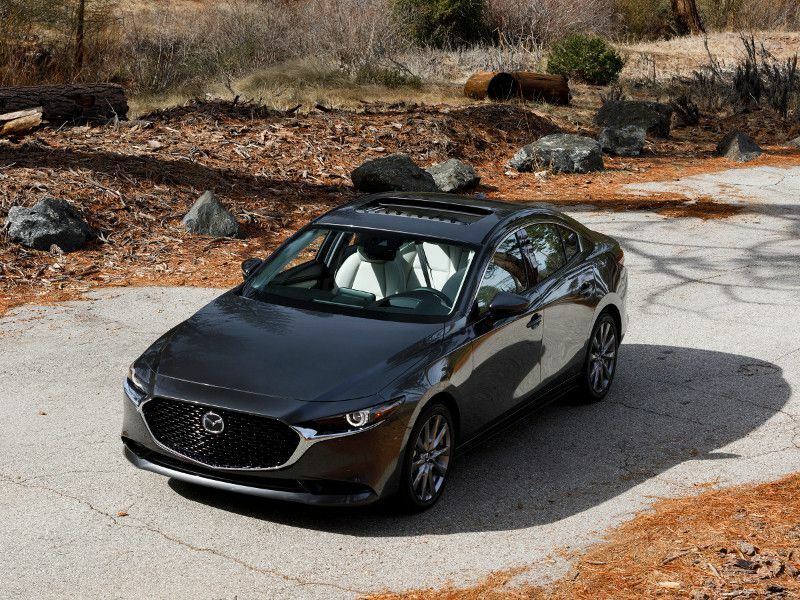 The 2019 Mazda3 is available as a very attractive sedan or as a sporty hatchback. Only the door sills and the hood are shared between the two cars, so they look very different from each other. The sedan style offers a good-size trunk, traditional lines, and a bold front end that completes the premium look. In the higher trims, the Mazda3 comes with LED headlights and a range of attractive colors from a stealthy gray to the outrageous Soul Red Crystal. 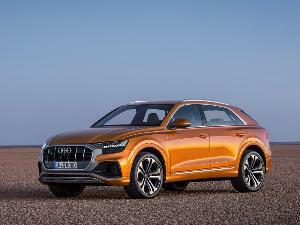 The hatchback will be more controversial, with styling reminiscent of European sports coupes of the 1960s. There’s a clear choice in looks, but the two models are the same under the skin. 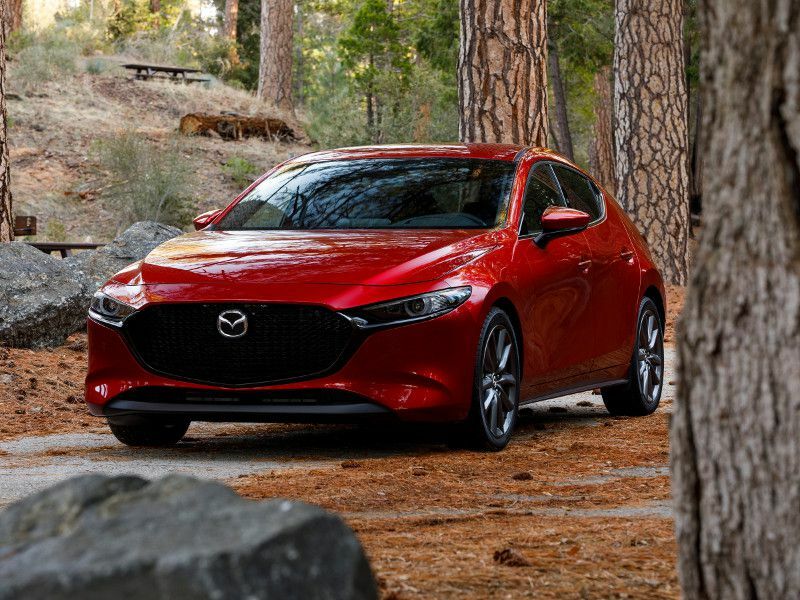 The 2019 Mazda3 sedan is on sale at Mazda dealers right now, and the hatchback will be on sale nationwide by April 1. The sedan starts at $21,000 when equipped with a six-speed manual transmission and front-wheel drive. The hatchback starts at $23,600 in the same configuration. At the top end, the Premium trim with automatic transmission and all-wheel drive starts at $27,900 for the sedan and $28,900 for the hatchback. The least expensive Mazda3 with AWD is the Select trim sedan at $24,000, or the base hatchback at $25,000. Destination fees are $895 on any 2019 Mazda3.